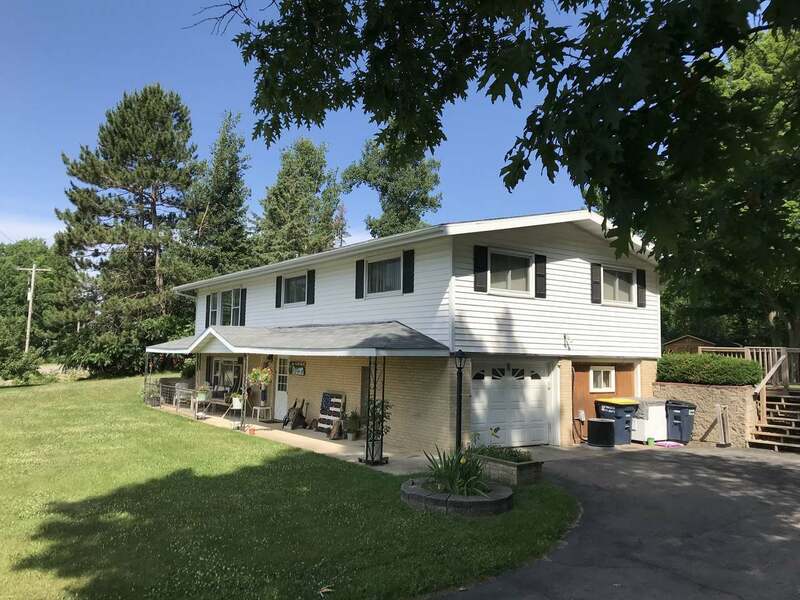 Located across from beautiful full recreational Silver Lake and on the ATV/snowmobile trails, this well-maintained 3 BR, 2 BA home offers so much country life with a nice detached office/business/shop attached to the 2 car detached garage with extra storage. The home features a drive-under garage and workshop, cathedral ceilings, 3 spacious main floor bedrooms, 2 full baths, an open concept kitchen and living rm, and a dining area with patios doors leading to a back deck for you to enjoy the beautiful backyard with a unique barn, garden, and storage shed. Cozy up to the fire in the gorgeous brick wood-burning fireplace in the spacious family room downstairs, or listen to the loons on the covered front porch. The home and property include city sewer and water, natural gas, a blacktop driveway, central air-conditioning, and adjoining forest lands. Near the public beach, boat landing, and golf course, enjoy the gorgeous views of the lake and beautiful sounds of loons!